Las Vegas sports book directors are notoriously tight-lipped about their customers’ wagers, and rightly so. They’re particularly circumspect when it comes to reports of big-money wagers made by celebrities. So there is no way of telling whether the otherwise innocuous tweet posted on Twitter by @Pregame_Steam that superstar boxer Floyd Mayweather bet more than $5.9 million on the Miami Heat minus-7 to defeat the Indiana Pacers in Game 7 is true. Yahoo! Sports was unable to reach Mayweather or Leonard Ellerbe, the CEO of Mayweather Promotions, to verify the report. Mayweather frequently tweets photos of his betting slips. Usually, but not always, the tweets are of winning tickets. In a fascinating Sept. 12, 2012, story on Grantland. 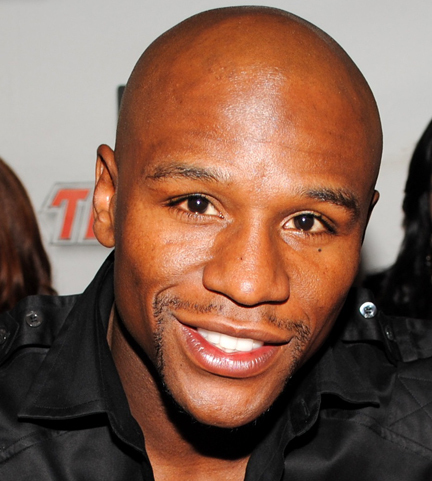 com, writer Dermot Hunt noted that between August 2010 and February 2012, Mayweather tweeted photos of 46 betting slips totaling nearly $3.9 million in wagers. According to Hunt’s record-keeping, May­weather won all 46, making a profit of $3,938,722.87. If Mayweather did make the bet on the Heat and he won, he'd earn a profit of $6.49 million. Several persons connected with Las Vegas sports books who did not want their names used said they think it unlikely Mayweather made such a monster wager. Signifi­cantly, though, none of them would completely rule it out as a fabrication. Lorenzo Fertitta, whose family owns Station Casinos in Las Vegas, wouldn’t totally rule out the large wager. “That would surprise me [he got down such a big bet in Las Vegas], but you never know,” Fertitta told Yahoo! Sports. One Las Vegas sports book director, speaking on condition of anonymity, said he doubted Mayweather’s ability to bet that much on one game in the city. The beneficiary here, clearly, is Mayweather. He’s worked hard over the last eight years to develop the ‘Money’ persona that has made him rich and famous beyond his wildest dreams. Being associated with making an almost-$6 million bet further enhances that image he's worked so long to build and burnish. If the Heat win by eight or more points tonight, it would be work checking Mayweather’s Twitter feed to see if he posts a winning ticket. I’ll choose to be skeptical until there is proof. There were multiple reports in 2008 that Mayweather made $20 million to appear in Wrestlemania, though veteran reporter and industry insider Dave Meltzer said he believes the real payment was less than $3 million. The point is, Mayweather is masterful at crafting the image of himself as essentially the Warren Buffet or Bill Gates of boxing, but how much of it is true is never easy to discern. With Mayweather, though, you never know for sure. And that’s why he’s a winner whether the story is true or not. It simply adds to and builds the legend.